The Art of Coaching draws on David Wheadon’s extensive career as an assistant coach at a number of AFL clubs. 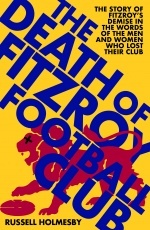 As one of football’s most innovative thinkers, Wheadon demonstrates his deep knowledge of coaching and details the principles that underline the game of Australian Football, and how to get the best out of diverse groups of talented young men. The Art of Coaching provides an insight into how the game is played and how it is coached at the highest level. As well as a detailed analysis of what makes a coach, the book describes the principles of skill acquisition and player development. It also compares the methods that underpin coaching in Australian football, with the methods developed by significant coaches in other sports from around the world. 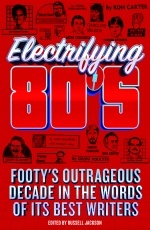 This book is not just a practitioner’s guide for coaches of all levels of Australian Football; it is also a wonderful resource for fans of the game, and for coaches across all sporting codes. David Wheadon is a well-respected figure in the football community having filled a number of coaching roles throughout his career including assistant coach, forward-line coach, defensive coach, goal-kicking coach, opposition analyst, skills coach, ruck coach, reserves coach and football manager. Wheadon has worked with 11 coaches who have won 17 AFL premierships between them, and was a member of the coaching staff of three AFL premiership teams: Essendon in 1993 and Geelong in 2007 and 2009. He also conducts coaching seminars for those seeking to make their way into the AFL system. 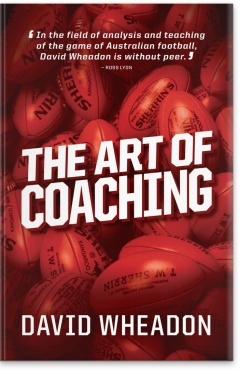 Read a review about The Art of Coaching that appeared in the AFL Record. 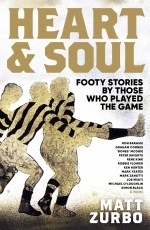 Read an excerpt from The Art of Coaching on AFL Community.